Disease control and education. 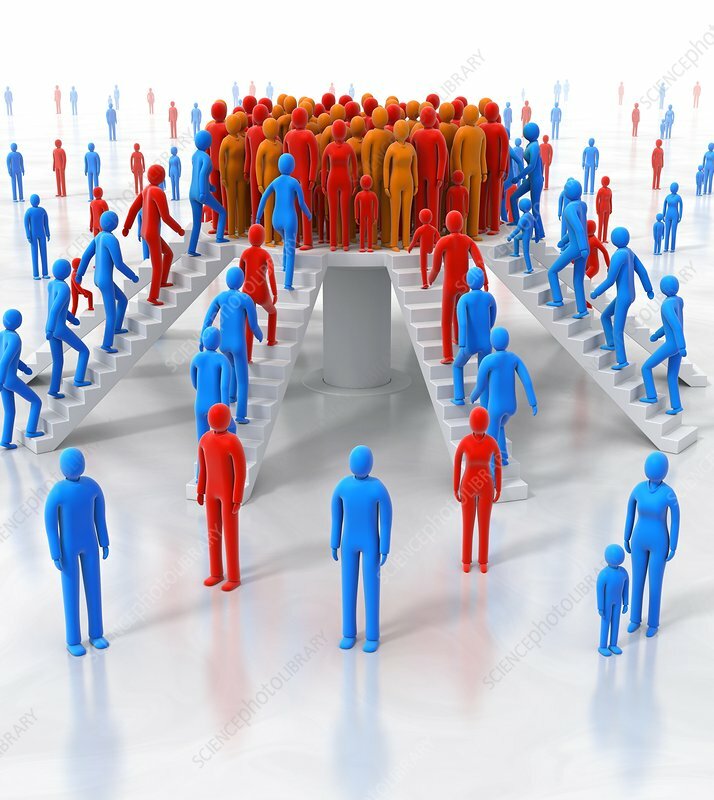 Conceptual image showing people congregating and gathering on a raised platform. This can represent concepts such as disease control, or people learning or speaking about health issues. The red figures could represent those infected by a disease.